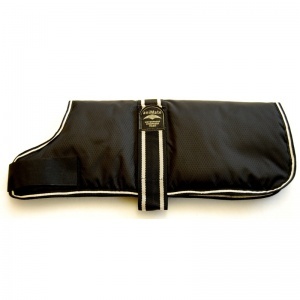 Waterproof and padded for warmth, this dog coat has two adjustable velcro straps for a perfect fit. Fully washable. Made with high-tech padded breathable fabric that is soft and dry on the inside yet highly water and cold resistant. To find the correct size, measure your dog from collar to base of tail.